Thomas McGaffey of Dallas Texas built this Farering from Ian Oughtred’s plans for the Elfyn and with Iain’s help stretched the design from 16′ to 18′. He built ROSA from Sapele plywood and used laminated solid sapele for the ribs and keel and white oak for the rub rails, thwarts and floors. He rows ROSA on the Gulf of Mexico and Texas fresh water lakes. The boat has proven to be very seaworthy, handling 2-3 foot seas nicely. 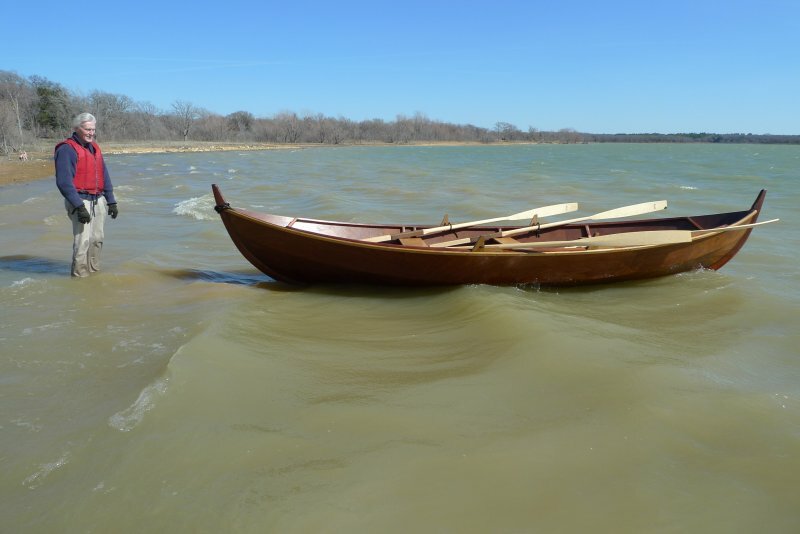 Rosa rows like a seabird, even in strong headwinds.